Last Saturday, my family and I made a quick day trip to Pittsburgh. The boys visited the super cool science center and I was finally able to attend my second quilt show. I went to my first show a month after I started sewing and much of what I saw flew over my head. 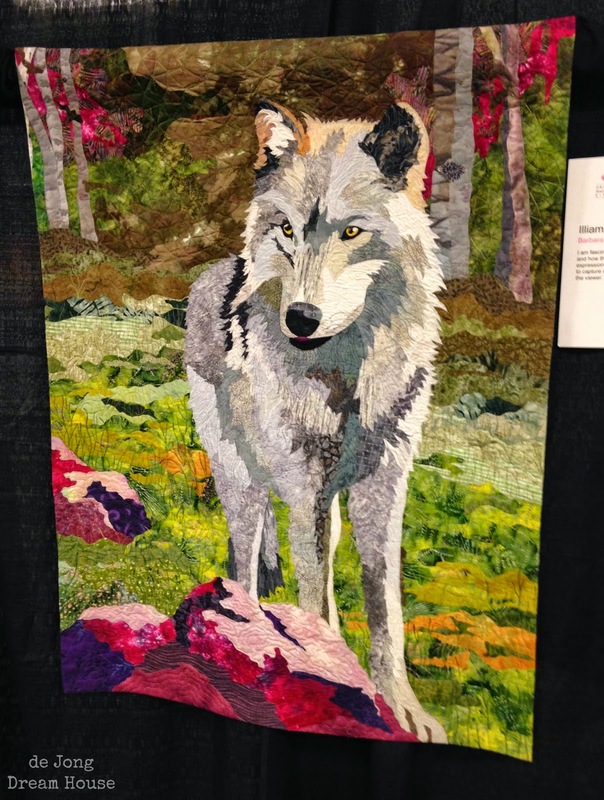 I have been wanting to attend another show for months because I have a much better appreciation for the work that goes into a quilt. Also, I've been saving my pennies so I can upgrade to a new machine, but wanted to test drive a few before making a decision. 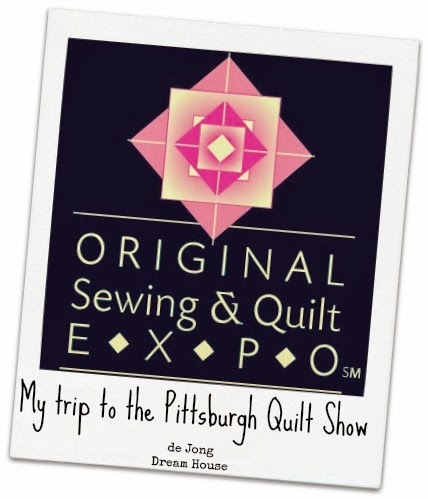 It finally worked in our schedule to attend the Original Sewing & Quilt Expo in Pittsburgh. The first thing I noticed was that it was MUCH smaller than the same show in Cleveland, but it was just the right size for me to see everything before the boys picked me up. And I was able to spend a lot of time with the machine dealers, which made me feel better about my decision. 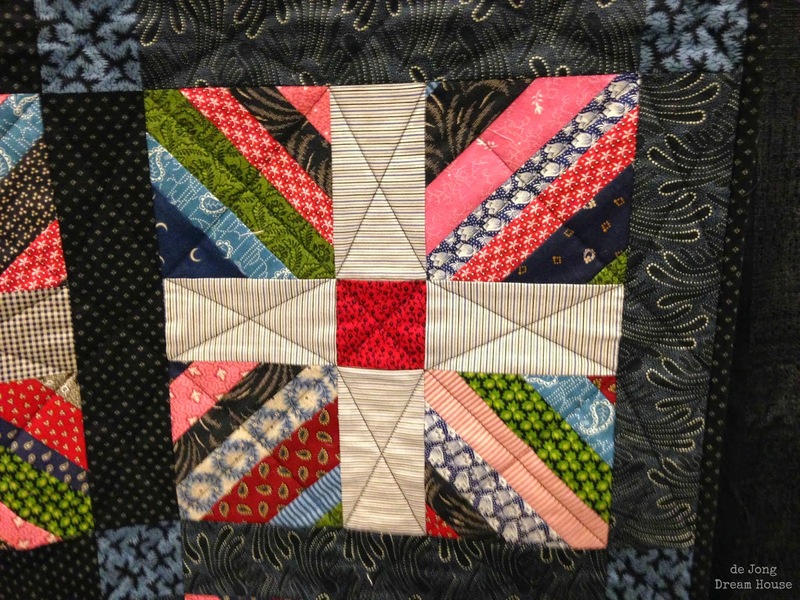 I'll post more about my new addition in a future post, but here are some photos of quilts that inspired me. As an avid fan of Settlers of Catan, I love hexies. 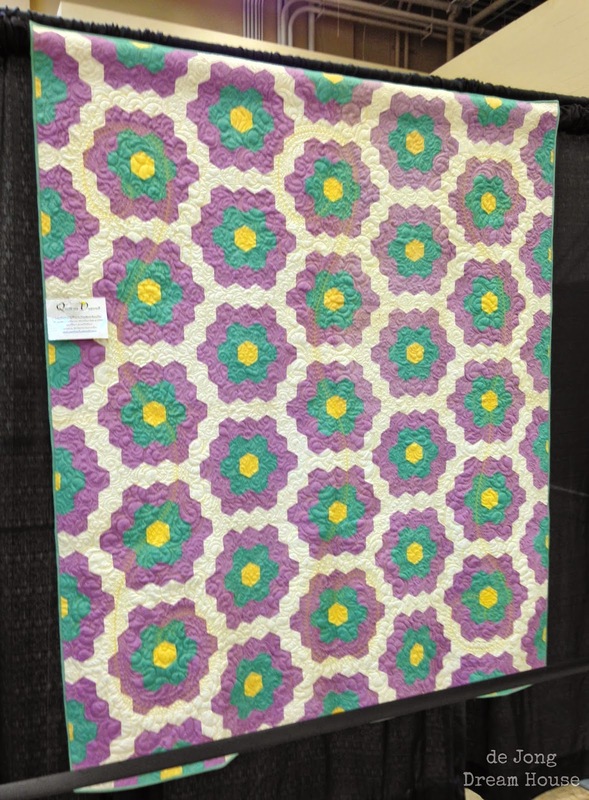 I like this quilt because it's not the typical flower petal pattern. 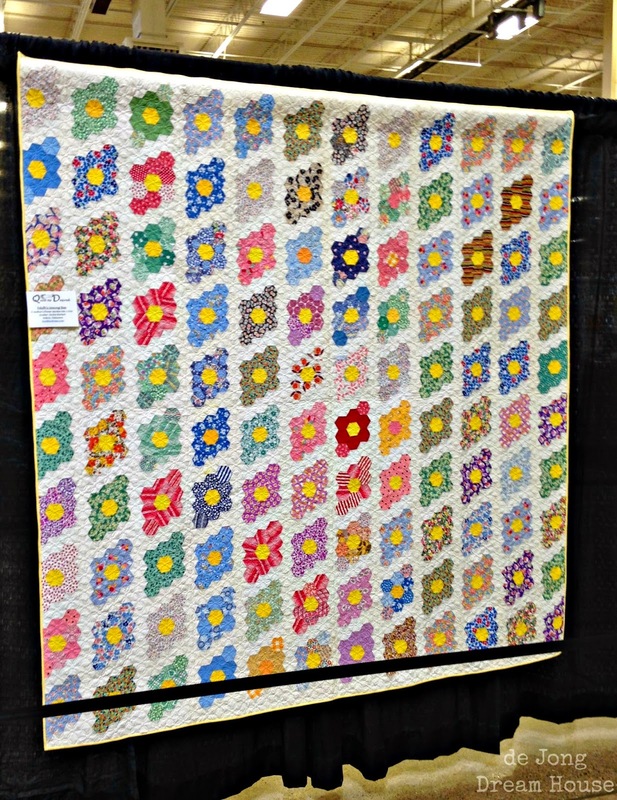 One of my goals for the coming year is to make a hexie quilt. 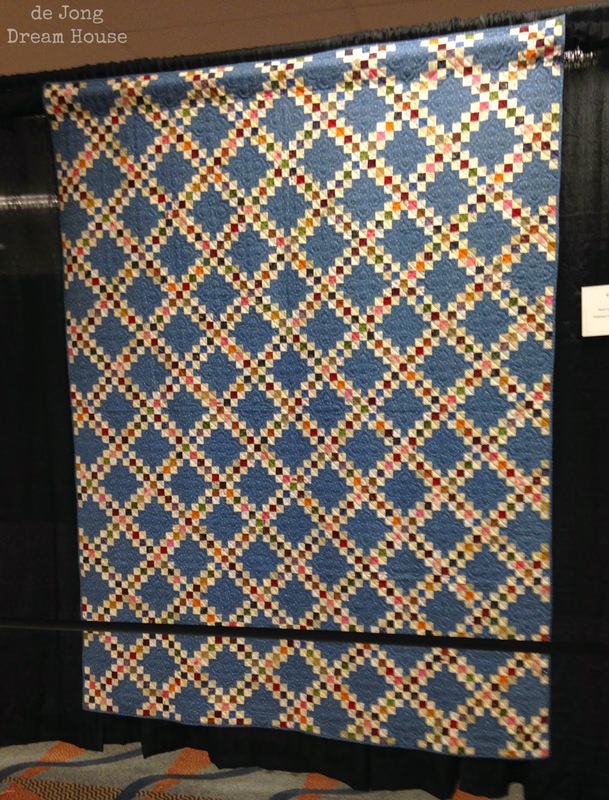 This quilt and the next were part of the Quilt as Desired exhibit. This is a more typical hexie pattern, but I like the two layers of "petals." 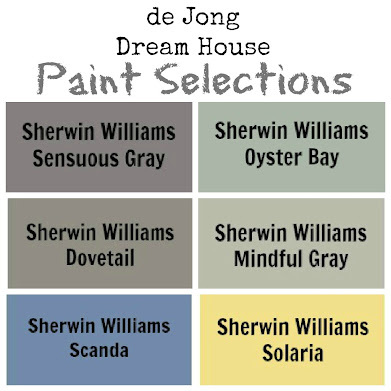 I also like the colors. 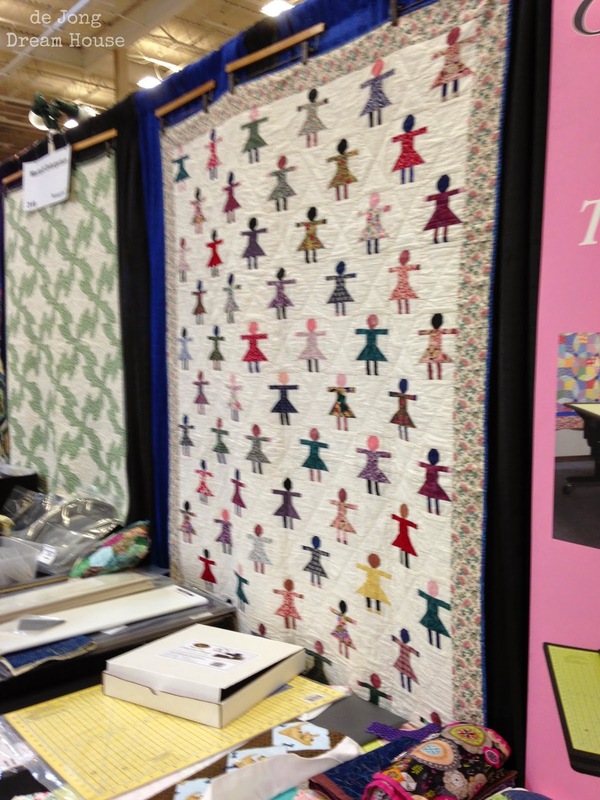 The next several photos were taken at the Appliques, Quilts, and More booth. 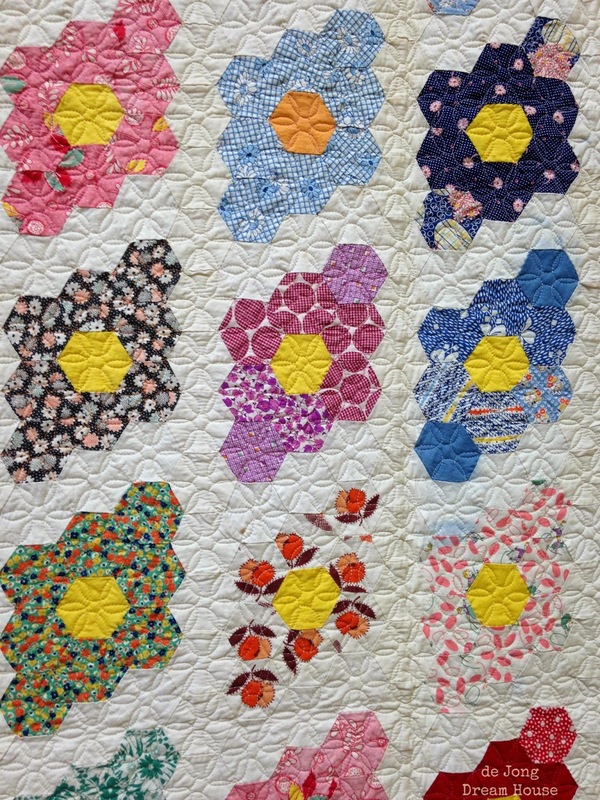 I was inspired by the way their appliques were incorporated into quilts. 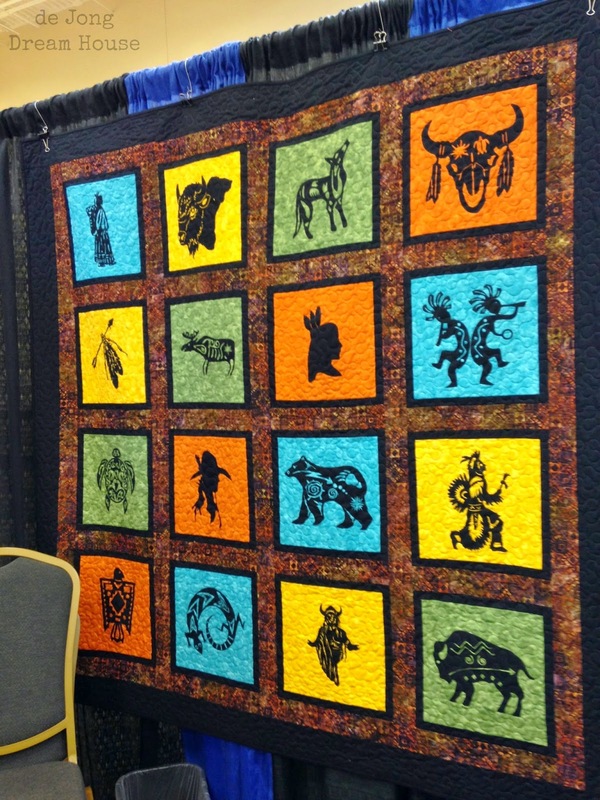 This quilts shows off their Native American appliques. 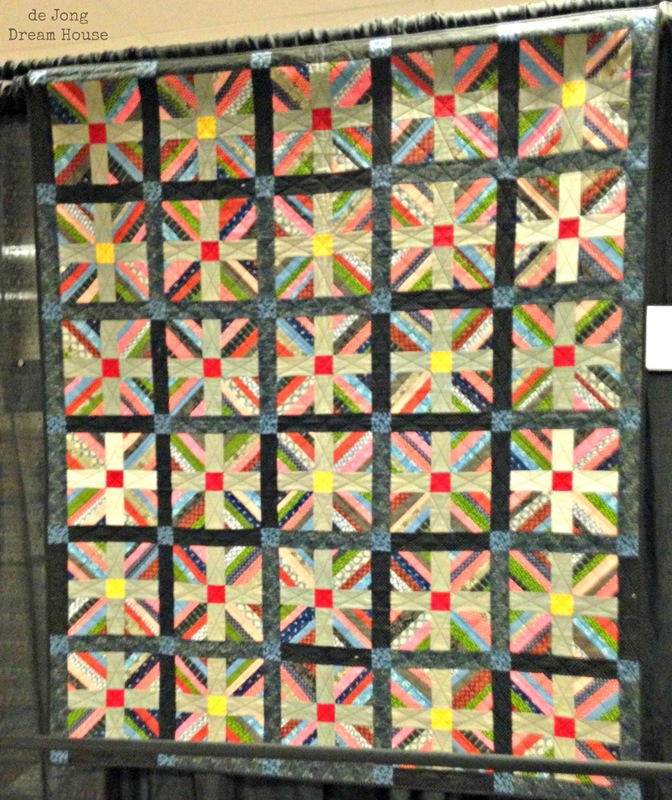 Several of their quilt kits featured hand-dyed fabric that looked like sunsets. 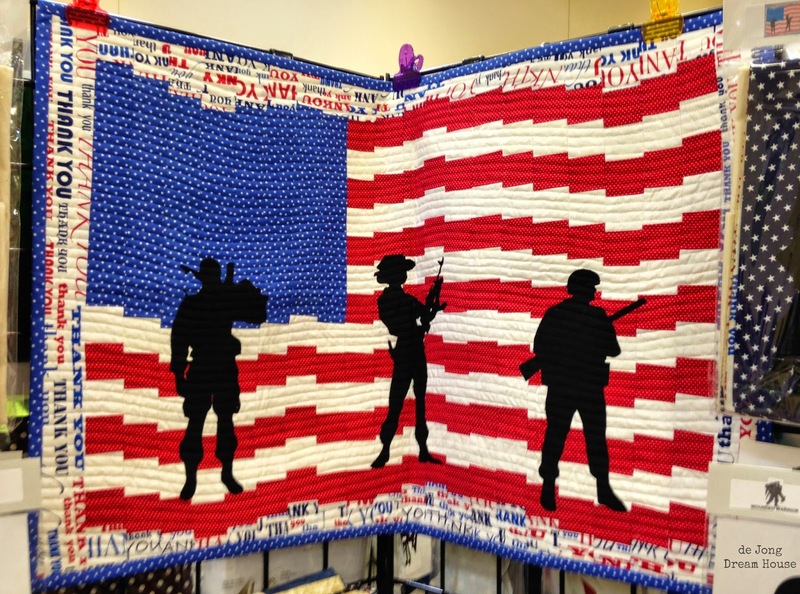 The flag quilt kit uses staggers strips of square blocks to give the impression of movement. I took this photo at the Martelli Enterprises booth. I am thinking I was to make some little people for a quilt for our son's school auction this spring. Isn't it adorable? Close up of a block. 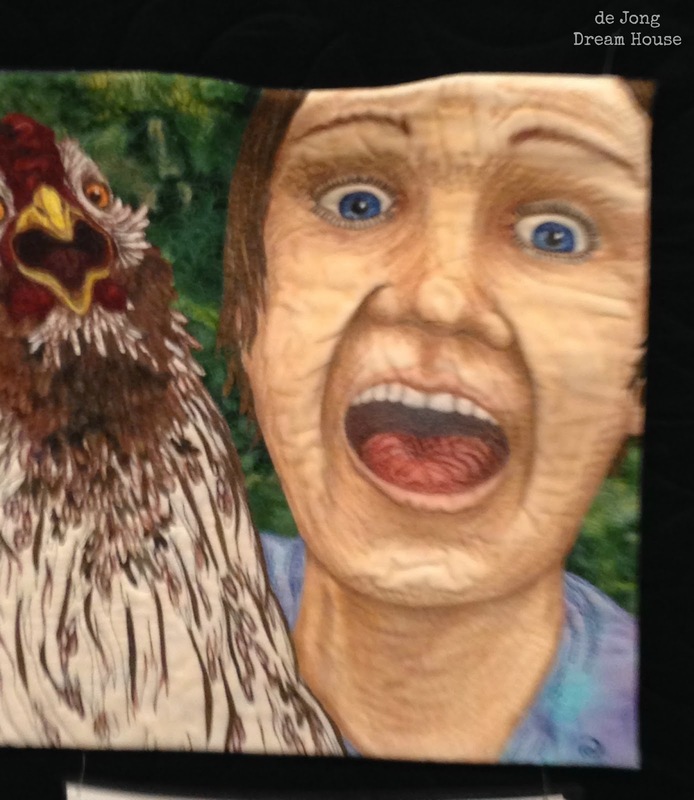 At first, I thought the show was a little light on quilts. Then I saw that the back of the conference center was an area about as big as the entire show floor with rows and rows of quilt. Here are just a few of my favorites. 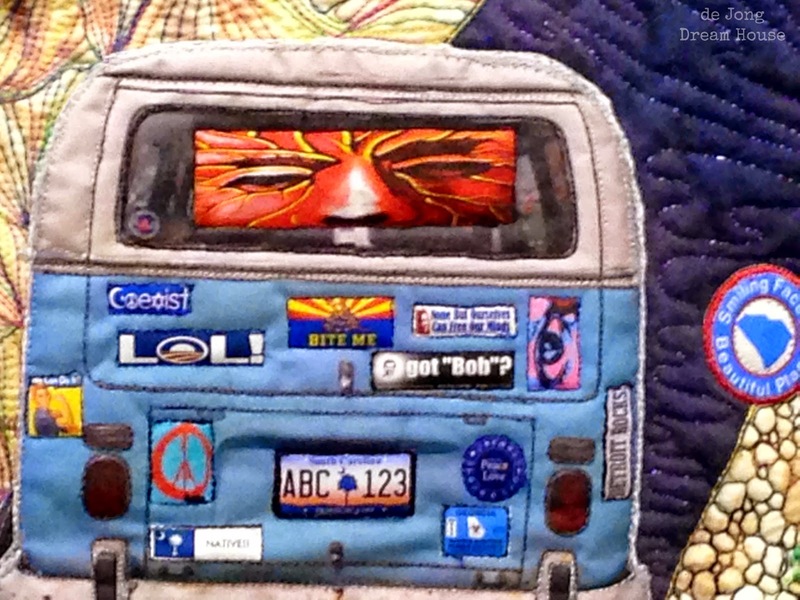 I am in awe of art quilts like this one, "The Old Codger by Barbara Yates Beasley. I just stared at it for awhile trying to figure out how she made it! 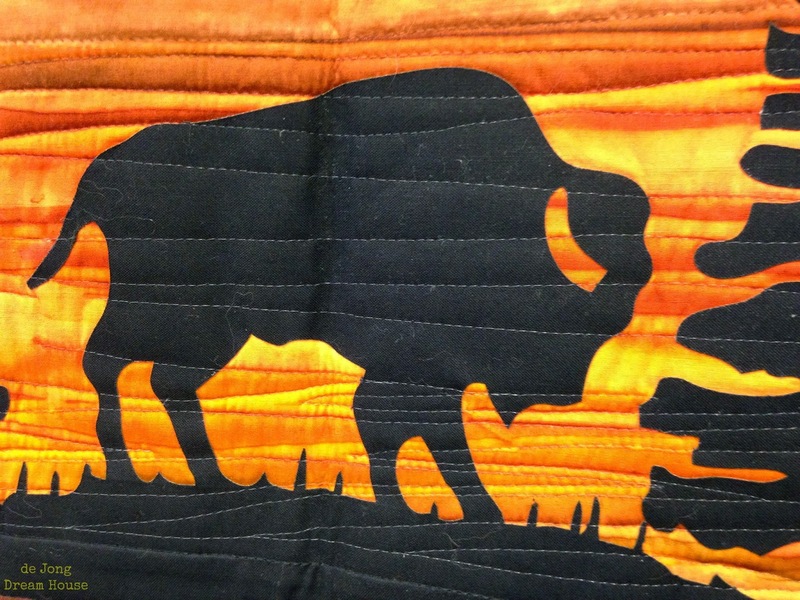 The same artist also made this quilt, The Illiamna, which I like even better, I think. You can see more of her incredible fiber art on her website. It pains me to saw that the photo I thought I took of the artist info on this quilt did not turn out at all. It has such incredible detail. 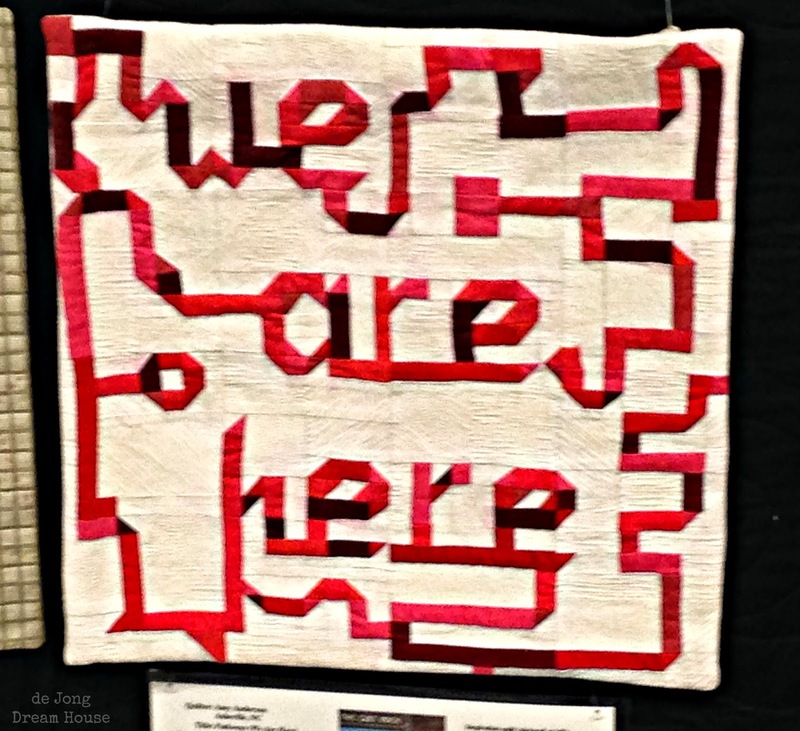 All I can make out is that I think it was part of the South Carolina/Georgia SAQA Region Quilt Entries. If anyone knows more, please let me know. Talk about the perfect summer quilt! This is "Hot, Hot Summer" by Linda Marcangelo. 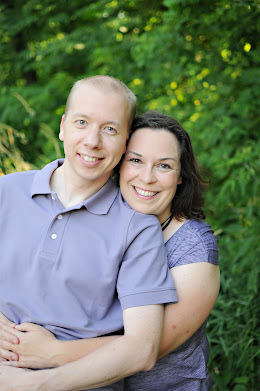 This one is maybe my favorite one of all. It's called "Dolly at the Beach" by Karen Backman-Kells. 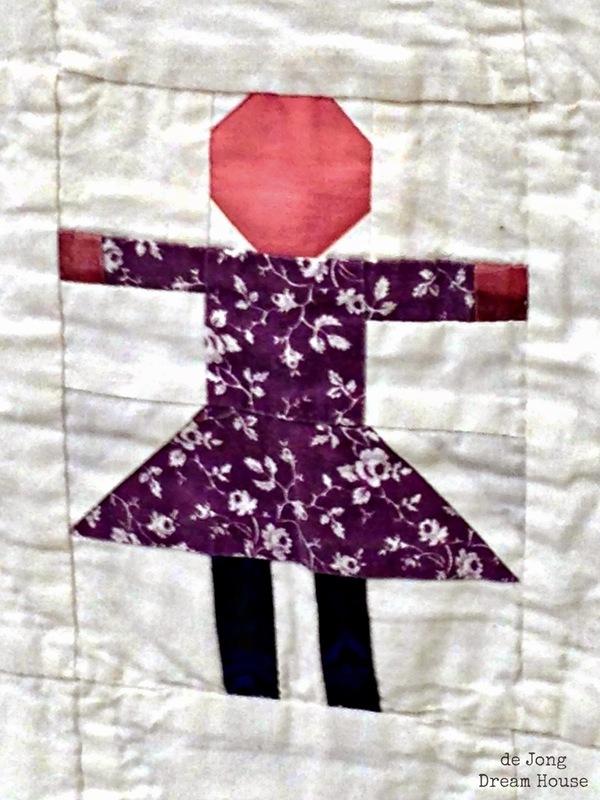 I am so in awe of art quilts in general, but as a mom only days away from sending her one and only to kindergarten, my heart strings couldn't help be tugged by this image. I found her website and was happy to learn she's a midwife, too. 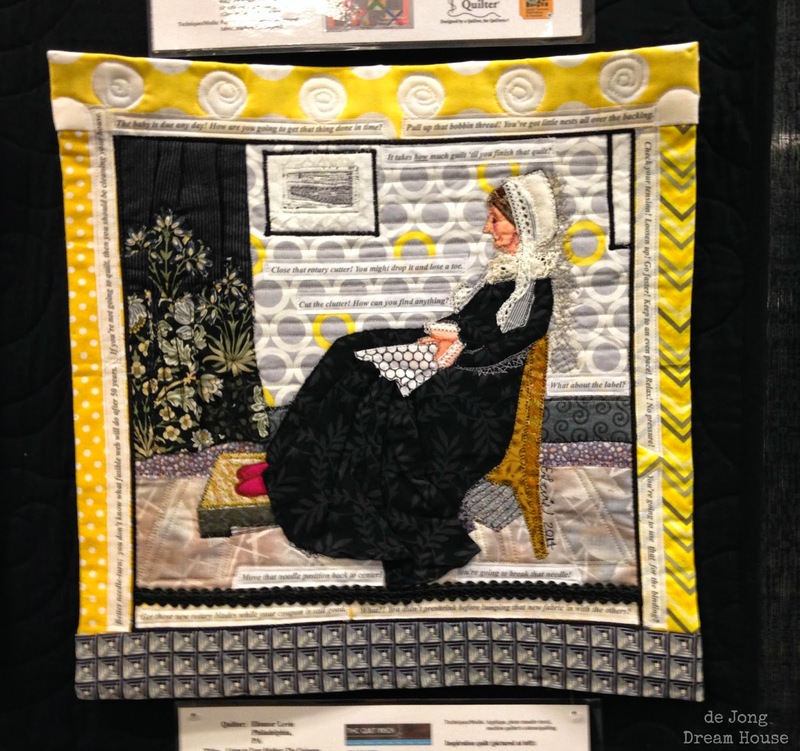 If you are fan of the quilting magazine Fon's & Porter's Love of Quilting, you've likely heard of Liz Porter, the quilter of this quilt aptly named, Liz's Irish Chain. I think the solid background is stunning, and the tiny squares are a great use of scraps. 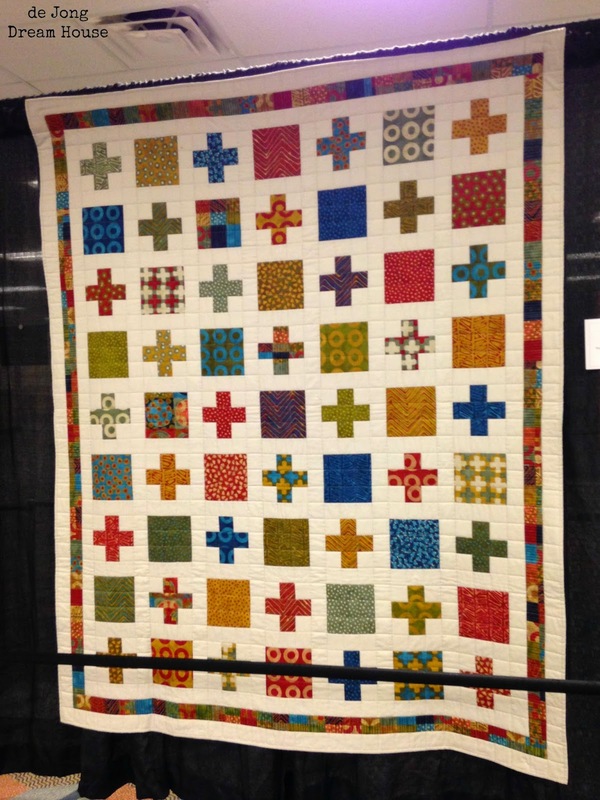 This quilt was featured in the Jan/Feb issue of Love of Quilting and was hand quilted by the Troyer Family. Another favorite, this one is called Star Flowers. 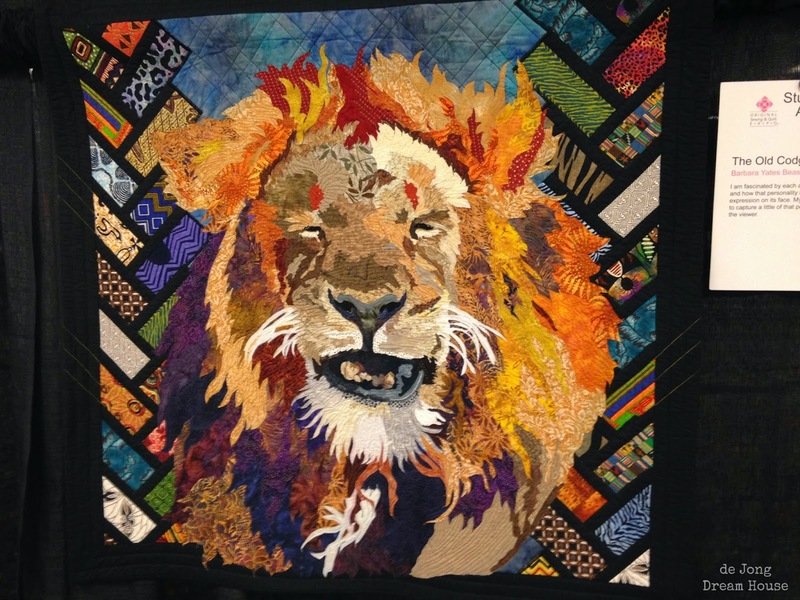 It was pieced by Diane Tomlinson and machine quilted by LuAnn Downs. It was published in the March/April 2014 issue of Love of Quilting. This next quilt is a fun scrappy quilt by Marianne Fons called "Rock Island Campfires." 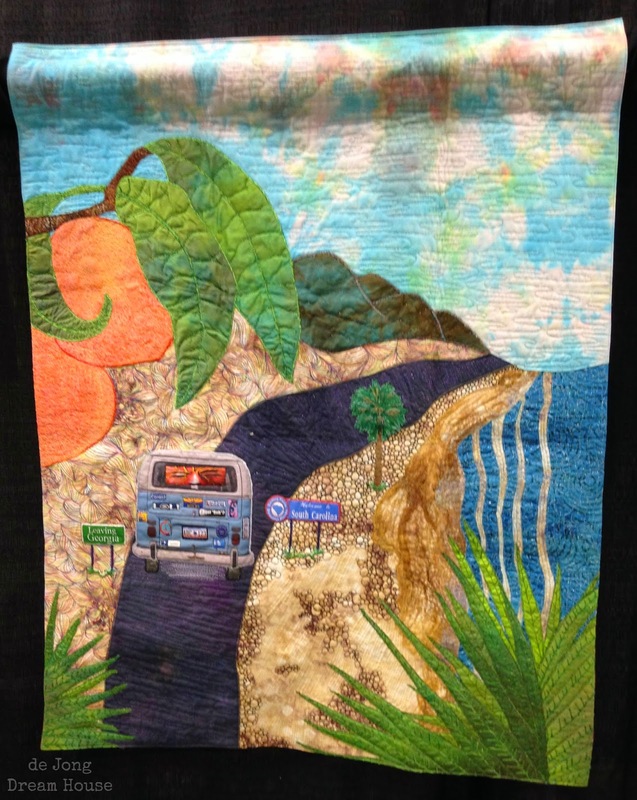 It was machine quilted by Debbie Treusch and featured in the July/August 2013 issue of Love of Quilting. 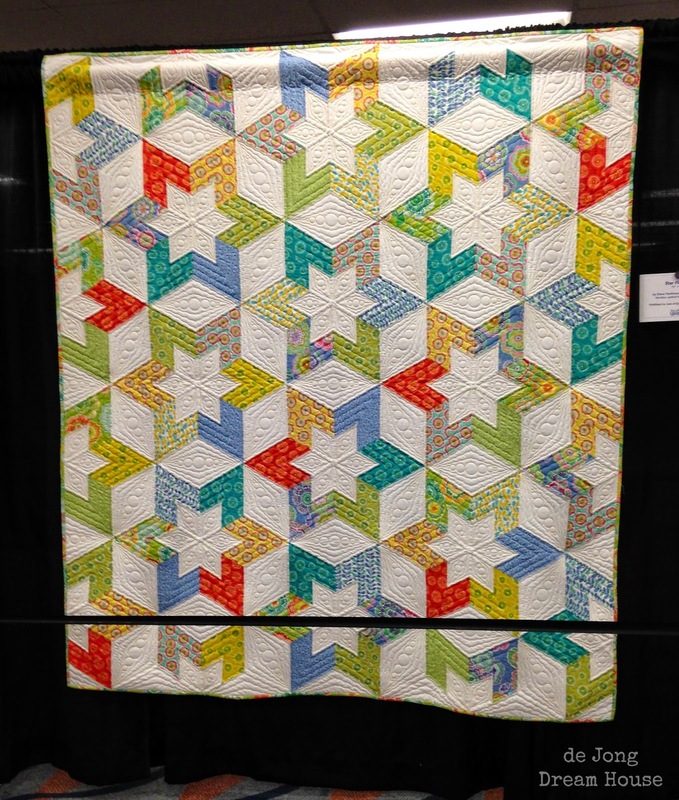 I love the modern look of this quilt, called "Focus on Fun." 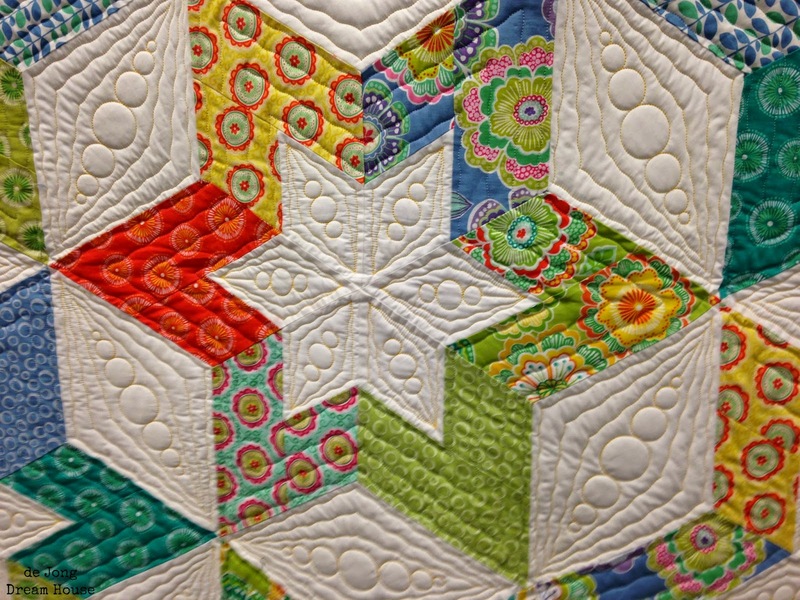 It's by Keepsake Quilting, and was published in the Summer 2014 issue of Quilting Quickly. (My apologies for the blurry photo. All picture were taken with my phone). 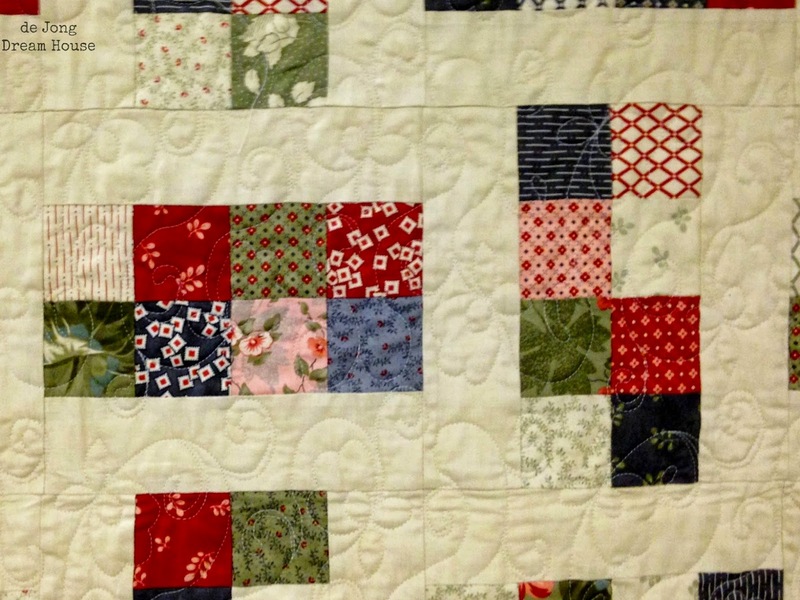 What I love about this "Crazy Eights" quilt is that it would be a really fun swap project. I'm currently doing a red/black/white block swap and it's been so much fun. Hopefully, I can convince the gals to stick around to do another one with this pattern. 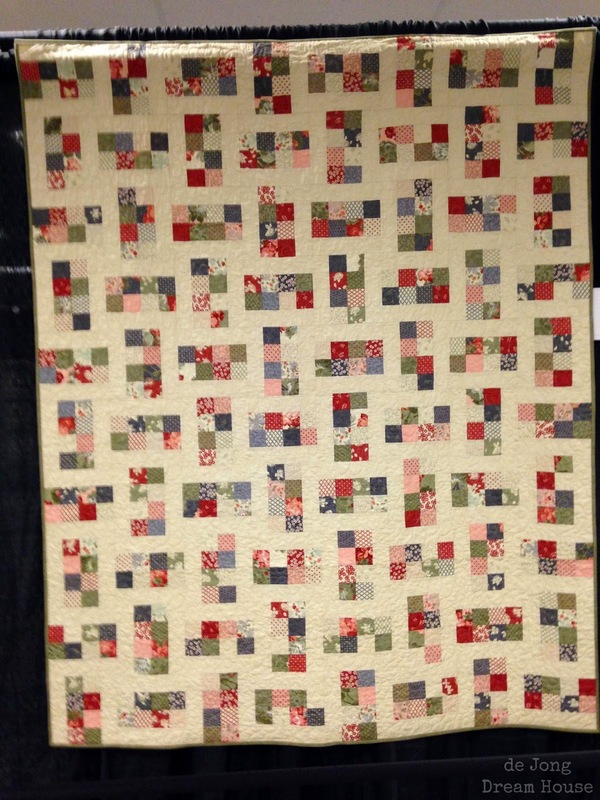 This quilt was pieced by Deb Finan and machine quilted by Olde City Quilts. 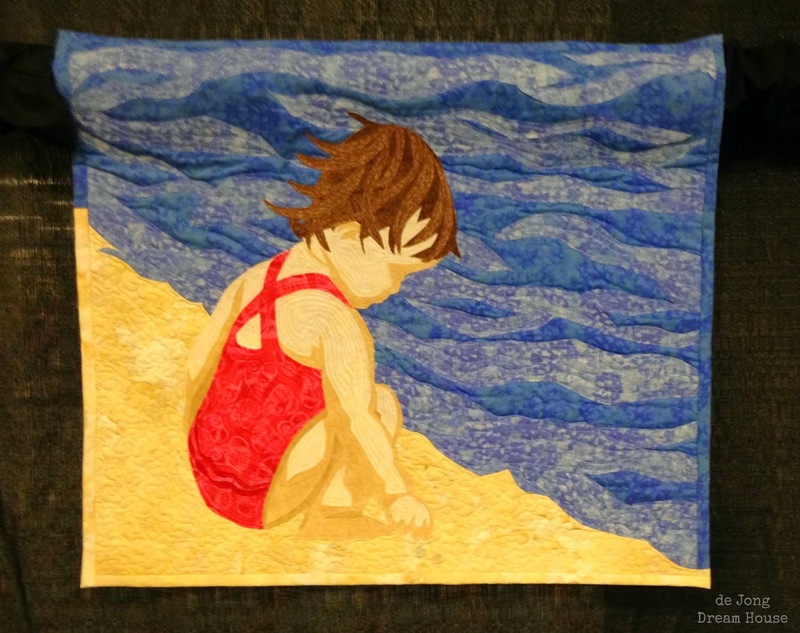 It was published in the Spring 2014 issue of Quilting Quickly. One of my first finishes this year (which I have yet to post...yikes!) was a plus quilt, so it's no surprise that this one caught my eye. 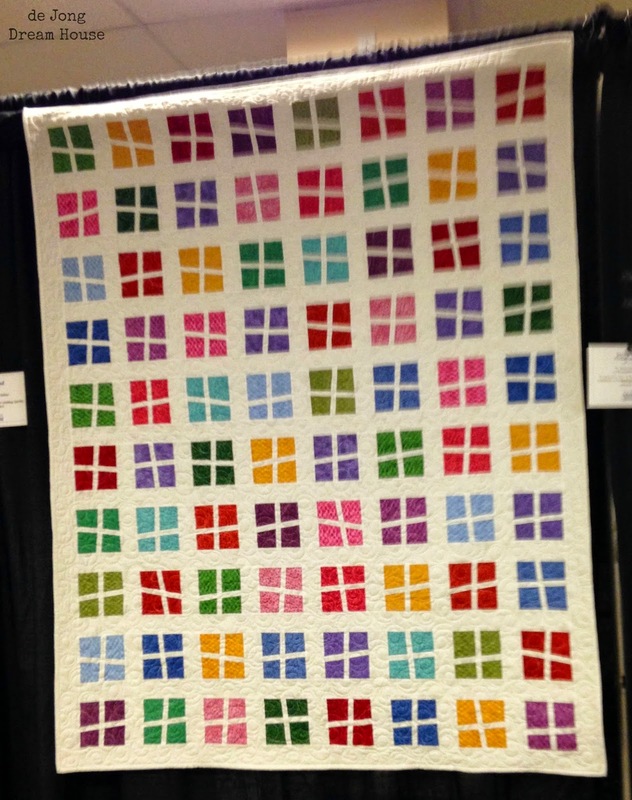 This version is "Positively Simple" by Jean Nolte, and it was published in the Spring 2014 issue of Quilting Quickly. I love a quilter with a sense of humor. This one is called "Ashley Selfie with Dr. Pecker" by Rhonda Dennie. I'm bummed that my photo didn't capture the whole quilt, but you can see a better photo on this website. Talk about an art quilt. 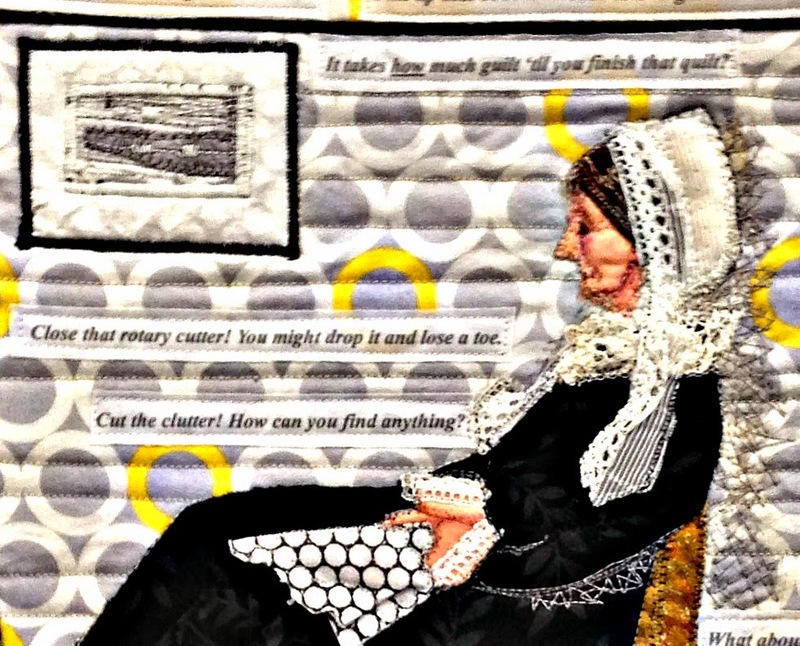 With a nod to Whistler's Mother, this is Eleanor Levie's "Listen to Your Mother: the Universe Speaks to Quilters." 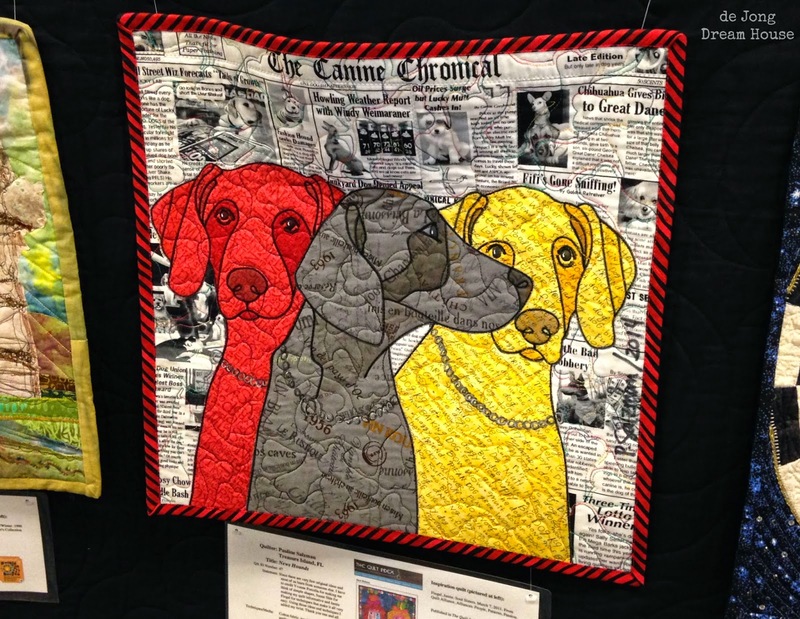 And finally, this is "News Hounds" by Pauline Salzman. 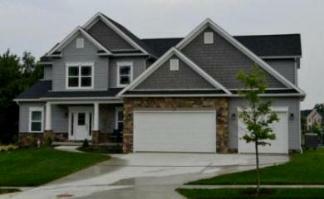 My son would love this one! 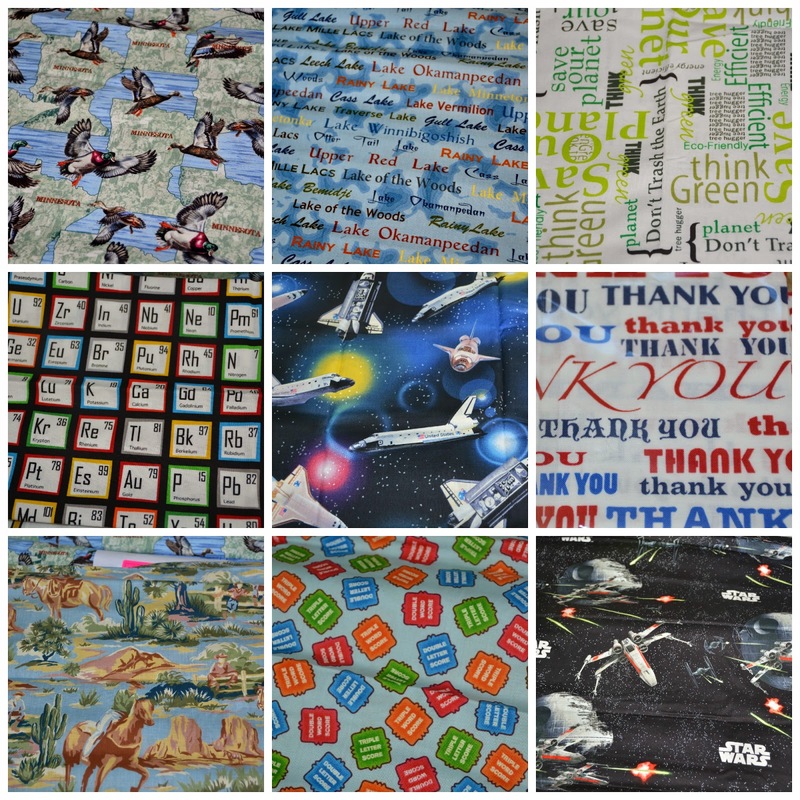 Something I noticed as I was writing this post is that I really didn't focus on the quilting of these quilts. For those of you who are clearly more talented than this straight line quilter, I apologize. 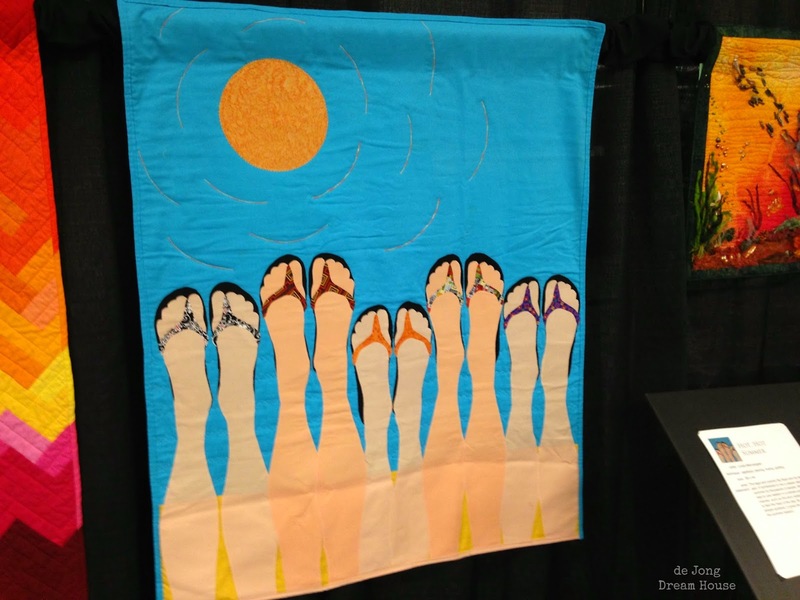 When I attended my first show a few weeks after I started quilting, I was simply in awe of everything and forgot to take any photos at all. With thirty-four quilts pieced since I started quilting 18 months ago, I am now most interested in figuring out how a top is pieced. With my big souvenir, I hope to be a lot more familiar with free motion quilting by the time I get to my next show! In addition to gawking over the many gorgeous quilts, I found some bargains at Vogue Fabrics. Here's a little collage of some of my favorite new fabrics. 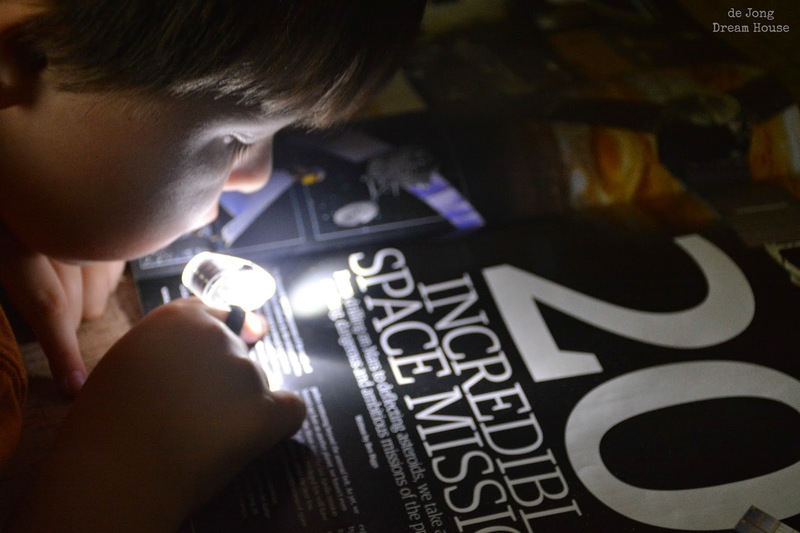 I also brought a little something for the kiddo. 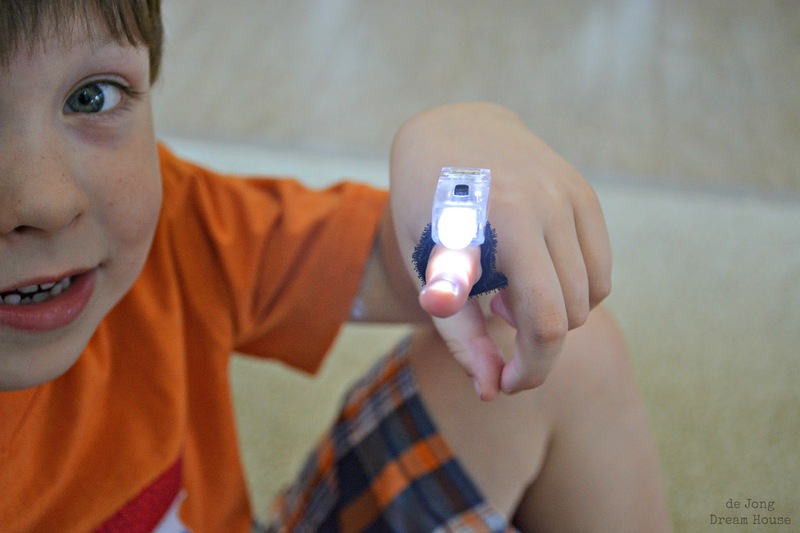 I bought us each a hook and loop finger light from The Quilt Company. 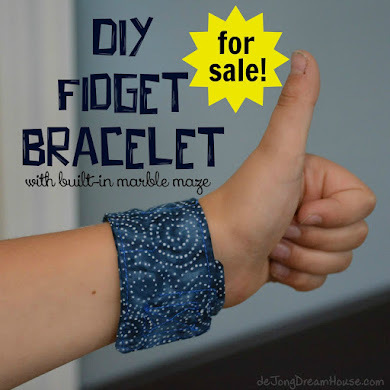 They are pretty cheap on Amazon so I'm thinking they might be fun for D's next birthday party. 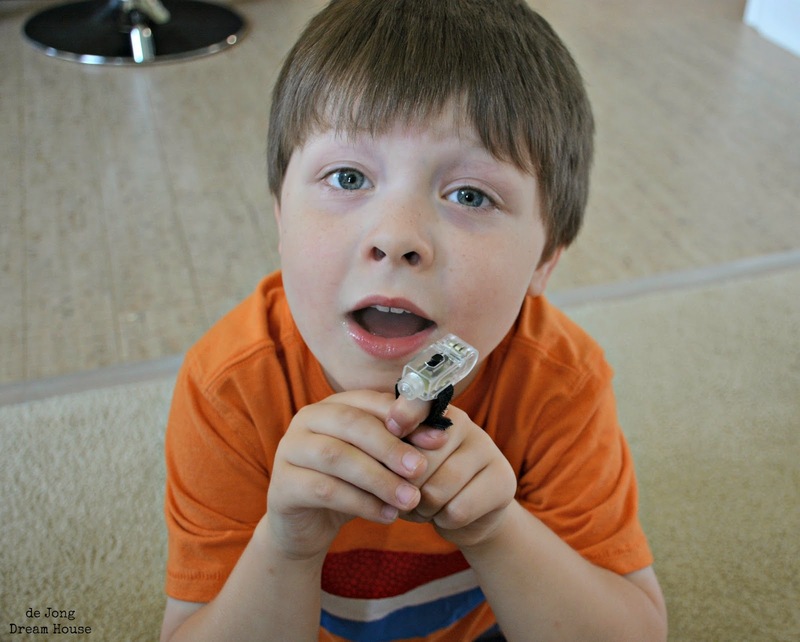 It was a big hit, and he may never sleep again. All in all, a pretty awesome day. 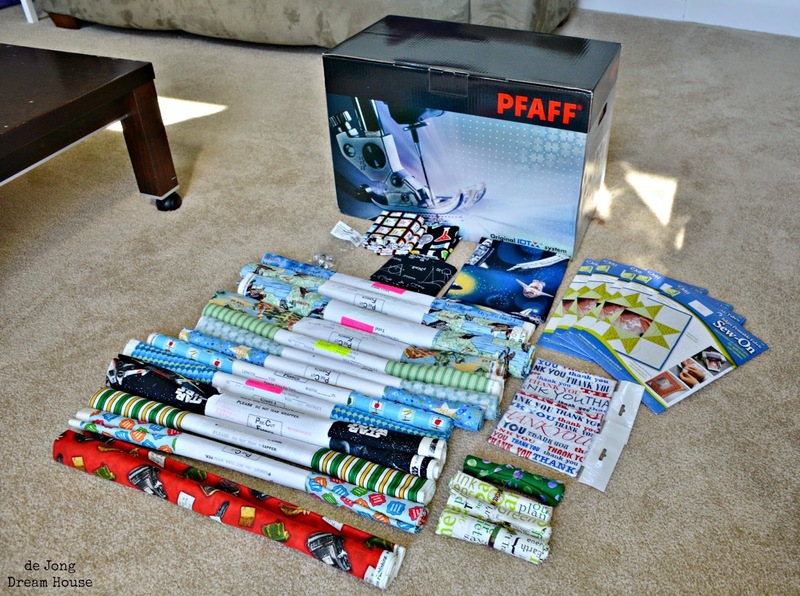 And the best part is that I came home with a new sewing machine! Any guesses what I bought?